Leadership is one of the most rewarding and most difficult aspects of business. When done right, it seems effortless. When done wrong, it can damage everything. Leadership, like everything else in your business, requires maintenance to be effective. Leaders need to evolve with their business and its current and future needs so a business can continue to run smoothly. As the world becomes more complex and more unpredictable, it’s essential for leaders to prepare now. 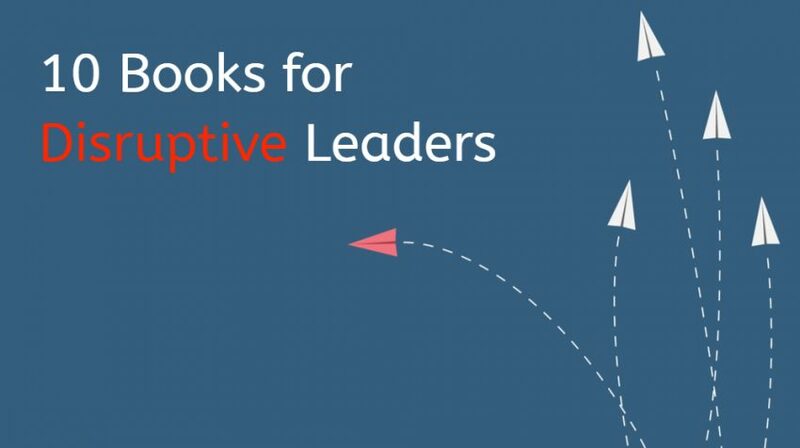 The 10 books in this list are designed to help current and aspiring leaders do just that. Each book is designed to push some aspect of leadership out of the “comfort zone” and into a more confident level of leadership as we head into a complex and unpredictable future. Complexity is a fact of life for modern businesses, yet dealing with this complexity is something that many businesses don’t know how to handle well. Many businesses, in fact, end up in a financially and time-draining place known as the”complexity trap”. Why Simple Wins: Escape the Complexity Trap and Get to Work That Matters, by innovation expert Lisa Bodell, demonstrates why simplicity is the answer for breaking out of the “complexity trap”. While many business leaders recognize they are stuck in mundane tasks and routines, few connect the dots between this inefficiency and an inability to innovate. 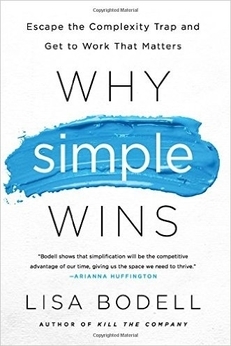 Why Simple Wins makes the connection and helps busy professionals find ways to prune productivity-wasters out of their schedules. Bodell also emphasizes another key point. Simplicity is not a one-time action, it has to be a mindset. Otherwise, the very gains from “cleaning up our to-do list” will come back to haunt us when we least expect it. Diversity is more than a workshop or a poster that you put on the wall of your HR department. It is necessary for your business to survive in the coming world of work to maintain its competitive advantage. This is the point that Jennifer Brown urges readers to understand in her book Inclusion: Diversity, The New Workplace & The Will To Change. 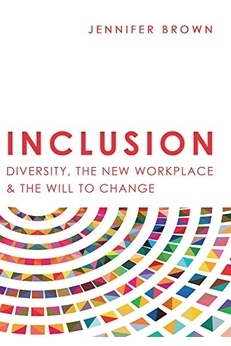 Brown’s book seeks to help readers gain a deeper understanding of what diversity is and leverage that understanding to build a more inclusive (and profitable) environment. As Brown points out, management has often seen “diversity” as something “to do” rather than something that should be integrated into the entire fabric of a business. Many organizations, however, are afraid or unsure of how to transition to and leverage a truly inclusive workforce. Inclusion shows business owners the steps they can take now to reach a more inclusive and profitable future later. What makes a person successful? In the late Stephen R Covey’s latest book, Primary Greatness: The 12 Levers of Success, the answer lies inside of you. To be more specific, it’s your primary greatness, a concept that is explored in the book collected from the vast collection of unpublished writing that Covey left with his unexpected passing. The title comes from a message Covey passed on to his son about achieving success. 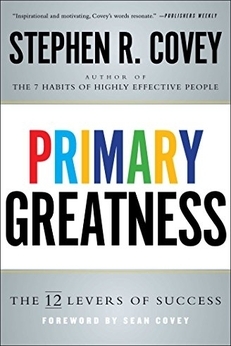 Covey contrasts two type of success in the book, primary and secondary greatness. Primary greatness is achievement which improve one’s internal self. Secondary greatness is achievement gained to improve one’s external self (like a trophy, Facebook Like, or paycheck). He argues that primary greatness is, ultimately, a more reliable type of success than secondary greatness. His book details why he believed so strongly in the concept of primary greatness and guides readers to their own primary greatness through the use of 12 core principles. Is building a work culture really worth the effort? 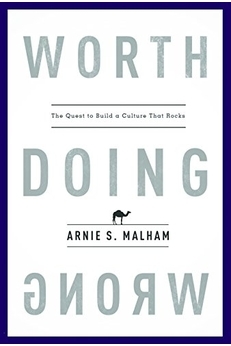 In Worth Doing Wrong: The Quest to Build a Culture That Rocks, the answer is a resounding yes. Work culture, like other areas involving the so-called “soft skills”, is something that many business leaders are now starting to pay attention to. With this renewed interest, business owners are becoming more proactive about their role (and the role of others) in the company culture. Culture, however, according to Malham is more important than feel-good talks and casual Fridays. It’s even more crucial than the execution or even the business idea itself. Why? Culture is the way that your business implements a strategy. Culture is the environment where your ideas are born and developed. It is the internal and external distinction that separates companies from each other. For those who believe in the power of workplace culture and want to leverage it to create a powerful business, Worth Doing Wrong offers a pathway through the fundamentals of doing just that. Because of its manufacturing roots, most professionals associate the principles of Lean with businesses — like an automotive company, motivated to get as much value out of their equipment as possible. In The Essence of Lean: A Superior System of Management, however, that Lean can be applied to work environments that don’t involve a factory at all. 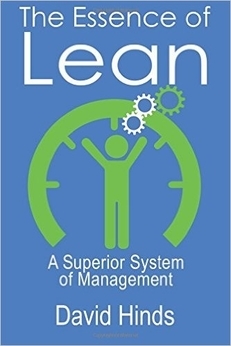 The Essence of Lean extracts the key principles of Lean management so readers can apply them to their small business, non-profits and governmental organizations. Written especially for the non-manufacturing person who may not be familiar with the Lean process, The Essence of Lean, does more than just explain the principles of Lean to a new audience. The book walks readers through creating a specific plan of action for integrating Lean in ways that decrease errors and increase efficiency. Businesses can improve overall ability to create more value for themselves, their customers, and their employees, with the expertise of a Lean master — and without having to worry about technical jargon. Leadership training often automatically assumes that leading is a game of mental balance. All you need to do is believe in and practice “x principle” to become a great leader. The Asymmetrical Leader, written by business coach and author Steve Knox, challenges that assumption. Leaders, Knox argues, need to be comfortable stepping out of their own heads and engaging with their hearts. By leading with their minds and hearts, leaders can connect with their teams on a deeper and more authentic level. Leadership is a more dynamic process that embraces weaknesses as part of the leadership challenge rather than hiding from them. 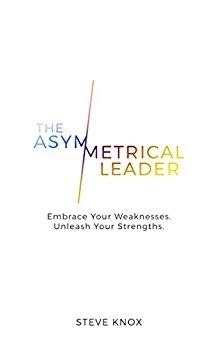 In an effort to help entrepreneurs excel in this multi-dimensional form of leadership, The Asymmetrical Leader highlights five core competencies and helps readers leverage the potential power within those competencies. Many of those core competencies, like communication, are practiced by leaders every day but Steve Knox demonstrates how these simple competencies can be transformed into a powerful legacy of leadership. Business leaders know that speed is a competitive asset. Maintaining speed while also maintaining quality is another issue altogether. 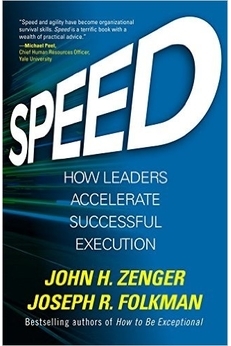 Speed: How Leaders Accelerate Successful Execution helps leaders balance the need for quality and speed within their businesses so they can thrive in the fast-paced world of the 21st-century business. In Speed, readers assess their organization’s current efficiency and help leaders outline a level of efficiency. Using the book’s principles, readers can take a comprehensive look at everything in their businesses that could serve as a “speed bump” and identify strategies and recommendations for navigating around them. To achieve a higher level of efficiency without losing quality, you need support from leaders and the workers who will carry it out. Speed provides support for both sides of the spectrum in eight companion behaviors extracted from research on high-performing businesses and individuals. Using the book’s insights, business owners can tailor and scale their plans for maintaining their “business awesome” while doing business at an unmatched pace. Have you ever wondered what life was like for a high-profile CEO before the spotlight? You might hear a little of their story in their professional bio, but you may not get all of the tiny steps (or missteps) along the way. 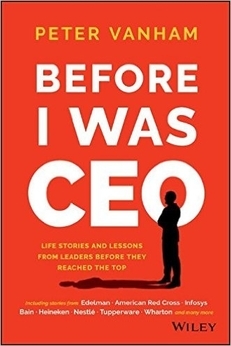 In Before I Was CEO: Life Stories and Lessons from Leaders Before They Reached the Top, business journalist Peter Vanham shares in-depth interviews of twenty high-profile CEOs. These CEOs come from a variety of industries ranging from brewing (Heineken) to non-profits (American Red Cross). They all, however, share the common trait of persistence and adaptation. Vanham’s interviews focus on the path that these high-profile leaders took to get where they are. He groups these paths by themes including adversity, “breaking free” and “returning home” to reinforce the commonality and uniqueness of their path. Following each collection of interviews, Before I Was CEO, extracts some memorable “wisdom nuggets” for readers to reflect on in their own path as current and future leaders. What does a busy leader preparing for an unpredictable future need? If you ask futurist and speaker Steffan Hyttfors, the answer is yoga. This centuries-old philosophy, Hyttfors argues, offers a strategic mental framework for leading in a constantly changing future. His book Yoga For Leaders, however, doesn’t focus on standing on one leg or in a headstand pose. It focuses attention on a leader’s thoughts and actions. Many leaders deal with the uncertainty of the future in two unproductive ways. They either plan excessively (to gain some sense of control) or they fail to plan. Both of these approaches are damaging to a business. 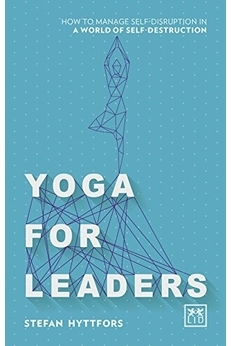 Yoga for Leaders argues that leaders need a more balanced approach. To survive an unpredictable future, Hyttfors explains how leaders need awareness and agility. They need awareness of their current beliefs and mental agility to deal with events outside of their control. This balance of agility and awareness helps leaders stay centered on their purpose in a future that doesn’t come with a roadmap. Analytics or Big Data, while extremely helpful, won’t save your business. As a leader, you need to turn that information into action and gain knowledge from that action to take smarter steps in the future. 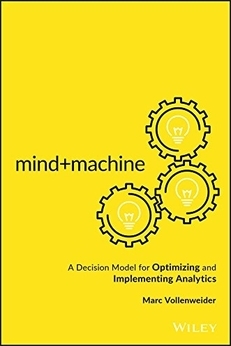 The mission of Mind+Machine: A Decision Model for Optimizing and Implementing Analytics is to investigate and improve the connection between data businesses collect and the actions they take as a result. Marc Vollenweider’s book begins with an examination of the misconceptions and trends in business data collection in all of its current forms (IoT, analytics, etc). The book then delves into what Vollenweider calls the “mind+ machine approach”, which combines the best features of the human mind (insight and wisdom) with the best features of the machine (automation and data collection). This approach, the book argues, will better help everyone involved in this tech-driven world, from regulators to everyday users, gain more value from the data they are creating and collecting every day. Businesses depend on good leadership to navigate their business safely through an unpredictable future. In a world where data is increasing at an alarmingly fast rate, it is up to leaders to identify and execute the right technology and talent for their business goals. This prioritization requires leaders adopt a new mindset when it comes to managing the people and technology they work with. 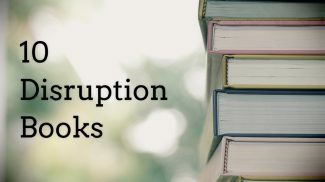 While this will be uncharted territory for all leaders, those who do integrate the disruptive leadership lessons from the books in this list should have a competitive advantage over those who don’t. It is about being updated with the times and having the willingness to adjust to it. That’s how you cope with a disruptive future. Yes. It is not just about leading but also in creating a plan that is worth pursuing. It is about having the proper knowledge and knowing how to implement that to help your business. Thanks for the list. It is important to keep on learning. And now that we have trends in technologies and leadership, it is more important to keep yourself updated with the times. 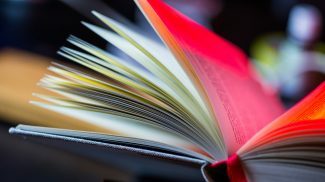 On the list, I would have to add The art of the long view by Peter Schwartz, who states that leaders are those capable of telling a promising story about the future and convincing others to get onboard to build it. His approach to scenario planning is hands on and not particularly analytical, alerting us the pitfalls of traditional models that are good in explaining the present but not exploring the future.